In recent years I’ve been really lucky. Several of my books have been embraced my readers and really taken off. And that’s been fantastic. However, not every book has done as equally as well. A few remain undiscovered. So this is a little tough to accept as every one of them is a beloved child…even if it’s a redheaded stepchild. Now I know not every book will do as well as others. Any number of reasons can hold a book back from storyline to style. So I get it. It’s not personal. 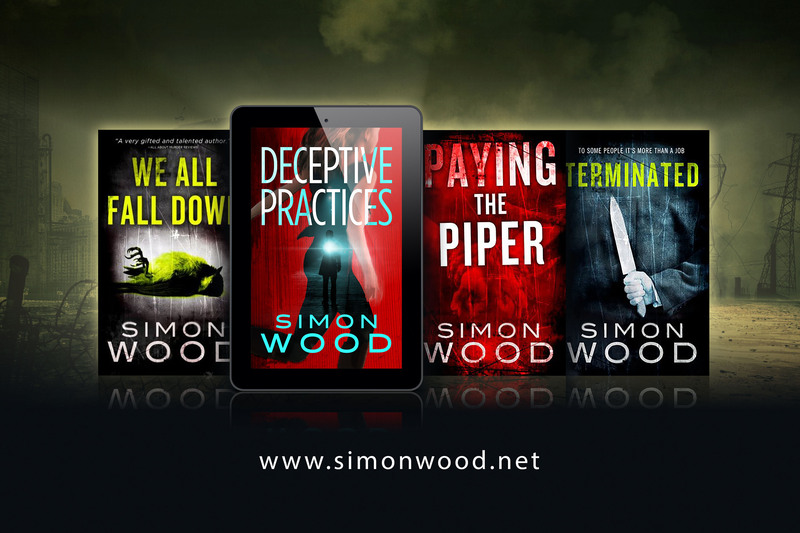 That said I think people are missing out on some of my books, so I’d like to shine a light on four of my books that I think are worth your time and consideration. WE ALL FALL DOWN: Hayden Duke is a young man on the fast track. He’s just signed on with Marin Design Engineering to work on a very high-level project. But before Hayden started, one of MDE’s employee’s committed suicide. And he’s not the only one. Is it the pressure? Or is there some other connection? Has Hayden Duke just put himself on the fast track to an early death? 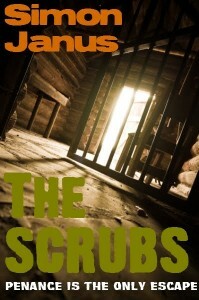 THE SCRUBS: Jeter, the notorious serial killer with a sixth sense, holds court inside London’s Wormwood Scrubs Prison. 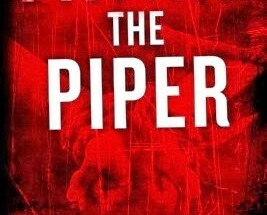 He’s the focus of the “North Wing Project.” Under the influence of a hallucinogen, Jeter can create an alternative world known as “The Rift” containing the souls of his victims. Pardons are on offer to inmates who’ll enter The Rift. 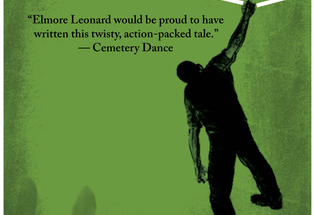 Michael Keeler has nothing to lose and little to live for. He’s sent into The Rift to learn the identity of Jeter’s last victim. 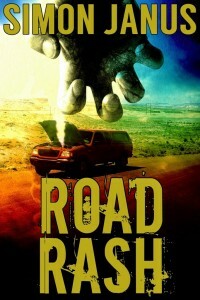 ROAD RASH: James Straley might think his life is cursed, but it doesn’t compare to what lies ahead of him on life’s highway. He’s on the run with the proceeds of a botched bank robbery. It’s all he has. His crew is dead and his getaway car just died on him. He’s on foot with the cash when he comes across a two-car pileup. 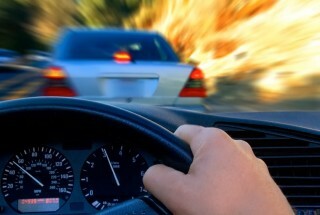 There’s no saving the drivers, but he can save himself and steals one of the wrecked cars. But he boosts the wrong set of wheels. Within an hour of driving off, he develops a rash that eats away at his flesh. No doctor can help him–only the car’s original owner. If Straley wants his skin back, he must journey on the road to redemption, which ends in the heart of Central America. 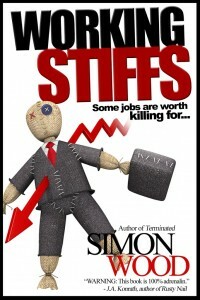 WORKING STIFFS: In this collection of short stories, the workplace is a dangerous place. The unscrupulous are primed and ready to take advantage of the innocent and naïve. A slight indiscretion can cost the employee everything. A new position can turn a person into someone they are not. Those at the top can be toppled and those at the bottom can be crushed. Until now, Vincent’s father has kept one side of the business a secret from his son. Vincent is about to learn the family business. 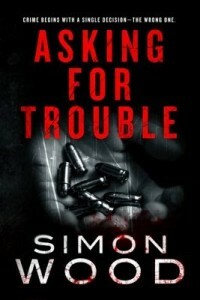 On the most important day of his career, Sam’s world will unravel when he helps a woman in distress. Todd has failed in every job he’s undertaken, but that changes when he backs into a drug dealer’s car. 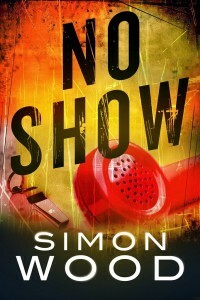 Now he’s in hock with organized crime and can only get himself out from under if he works for them to pay off his debt. Kenneth Casper is ailing and so is his business empire. His shareholders circle like vultures. Casper pins all his hopes on a Peruvian shaman with a miracle cure. I hope you’ll check out these books. You won’t be disappointed. Certain people, events and occurrences stick with me and no matter what I do, I can’t forget about them. The death of three men in Bristol, England is something I’ve never forgotten. They died a few months apart some time in the late eighties. They weren’t murdered and it wasn’t accidental. All three committed suicide. What drew my attention to these men was the circumstances of their deaths. All three died in the same city, and they were all working on the same government project. The first man walked into the sea. The second hanged himself from the Clifton Suspension Bridge. The third tied a rope around a tree trunk then around his neck, got into his car and drove away as fast as he could until he ran out of rope. Needless to say, the deaths made the news, albeit not on a national scale. The obvious questions were raised. Why did these men kill themselves? And did it have anything to do with their work? The questions went unanswered. The story sunk below the surface as swiftly as the first victim. Anytime anyone mentions Bristol or the Clifton Suspension Bridge, I think about these men’s deaths. 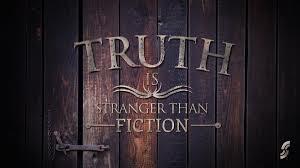 A lot of my fiction is inspired by real life events, but I don’t like to lift fact and fictionalize it. These men’s deaths intrigued me, but I didn’t want to go trawling through their lives for entertainment purposes. 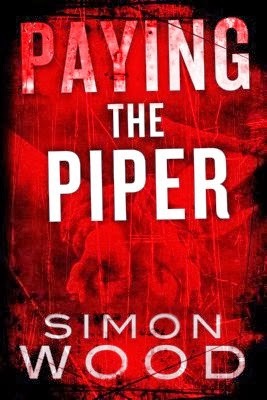 While I’m inspired by real life, I’m squeamish when it comes to using real people’s lives in my books. Due to the sensitive nature of the deaths, I was especially squeamish. Primarily, I want to entertain, not offend. These men were somebody’s husband, son, brother and friend. I don’t want their family and friends reading what is very real to them in a fictionalized venue. I do this because if I were in their shoes I wouldn’t want something very private to me made public irrespective whether it is public domain or not. So when it came to writing We All Fall Down, I used the premise of a string of suicides for the backbone of the story, but that was it. The book is set in affluent Marin County north of San Francisco and the work the victims were involved in is completely different. I didn’t research these men’s deaths or their circumstances at the time. Instead, I preoccupied myself with reasons for anyone to commit suicide. I suppose this is a sensitive subject for me seeing as I’ve known three people who have killed themselves. While I was searching for reasons, a couple of unrelated news stories provided ample motive for suicide-or in this case, staged suicides. 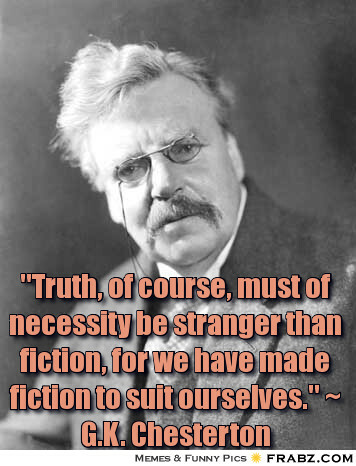 Seeing as dead men can’t tell tales, I inserted a character with a similar background to my own to unearth the mystery. I’m a mechanical engineer by trade and through my middle to late twenties; I worked as an independent contractor to a number of firms. Although I was one of the team, I was an outsider. Office politics and rumor floated just above my stratosphere. Every now and then, I’d catch a snippet that explained the office dynamic. In We All Fall Down, Hayden Duke is hired on short contract to help a firm finish a hush-hush engineering project after one of the employees commits suicide. 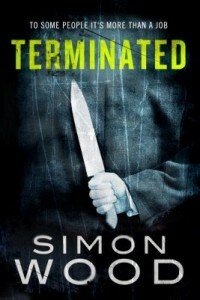 He knows there’s something up at the firm, especially when several other employees die. He takes an active role after witnessing the death of his college friend and the person responsible for getting him the job. I didn’t set out to answer the question why three men killed themselves in Bristol. Instead, I’ve invented a story to satisfy my curiosity. Whatever the reasons behind the original deaths, I hope these men are truly at rest. THE SUNDAY SELECTION SPECIAL: Bestsellers and Bargain Books! WE ALL FALL DOWNis only £1.49 at Amazon UK (in eBook form) and $0.99 at Amazon this month with 40% off the paperback. My crime collection, ASKING FOR TROUBLE, is only a £1.00at Amazon UK (in eBook form). 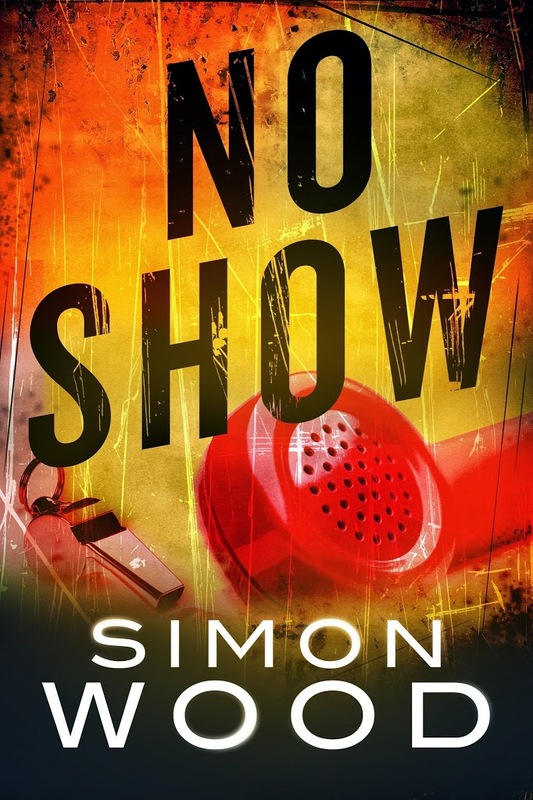 The first of the Terry Sheffield mysteries, NO SHOW, is only $2.00 at Amazon this month with 40% off the paperback. 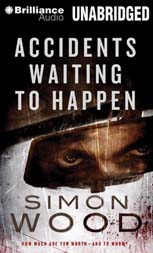 In the UK, ACCIDENTS WAITING TO HAPPEN has been climbing the charts over at Amazon UK. The book has bouncing around the top 10 for the last week. This was my first novel and after a decade it continues to keep riding the charts from time to time. I think it’s because of the provocative storyline. Achtung Baby! THE FALL GUY Goes German!! 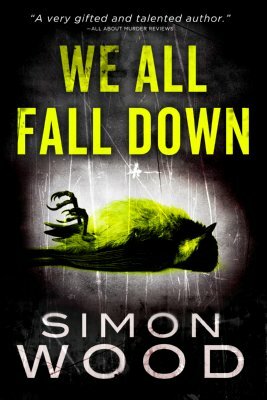 I’m very happy to announce that the German language rights to my crime caper, THE FALL GUY, have been picked up for print, electronic and audio editions. 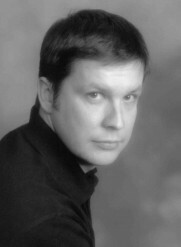 It’s the story of Todd Collins. He’s failed in every job he’s ever undertaken, but that all changes when he backs his jalopy in a shiny, new Porsche belonging to a drug dealer. When the police stop the drug dealer for a broken taillight that Todd has caused and discover a cocaine shipment, a West Coast kingpin holds Todd responsible. On the run from organized crime, Todd discovers his true calling. This story has gone from strength to strength in recent years. It first started off life as a short story called FENDER BENDER. A publisher liked the story so much that we build the concept for my short story collection around it for WORKING STIFFS. 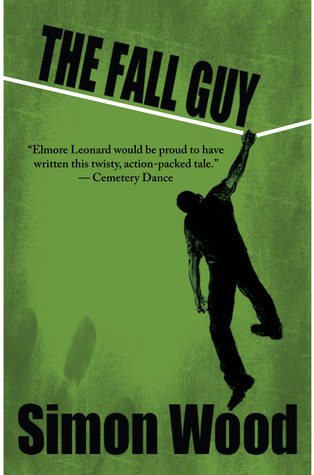 The editor gave me one instruction: develop FENDER BENDER into a much larger story—and THE FALL GUY was born as a short novel. 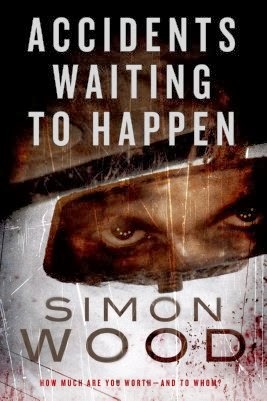 Author, Scott Nicholson, urged me to release it as a standalone piece and I’m in his debt because it took off an eBook and Comet Press picked it for a paperback release. So I’m especially pleased to see it get secure its first translation contract. I don’t know what the future hold for this story, but I hope it keeps on growing. I think Todd is owed that much.